There are many types of volcanoes, but the kind that most people are familiar with are those that are more visible, forming conical mountains. And in an era of 24-hour news cycles and social media, many of the more famous volcanoes have become popular tourist attractions. 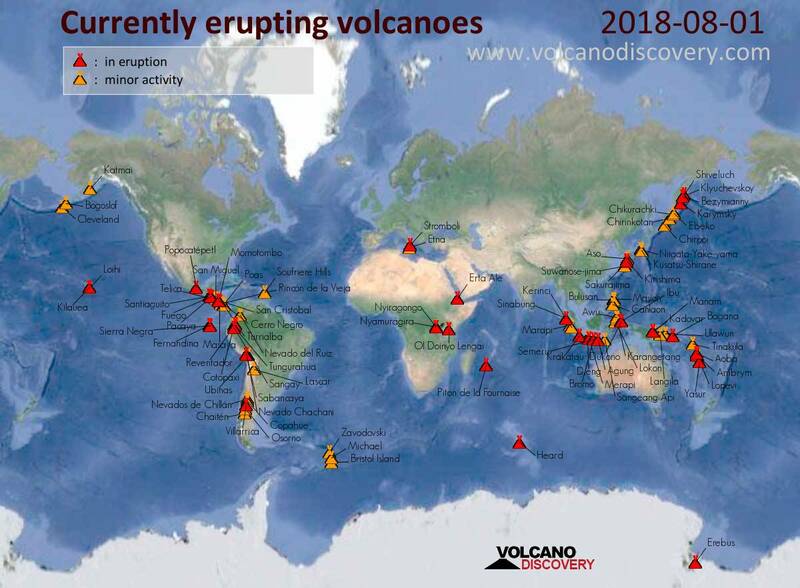 Active – these are volcanoes that erupt regularly. However, since volcanoes can have lifespans that stretch over millions of years, an active volcano could show signs of activity without having erupted in decades. Dormant (or Inactive) – dormant volcanoes are those that aren’t showing any signs of major activity but could still become active at any time. Some dormant volcanoes haven’t erupted for thousands of years but have the potential to become active again. Extinct – these are volcanoes that are considered unlikely to ever become active or erupt, since they no longer have a magma supply. Unfortunately, the volcanoes that attract the most attention, and by extension tourists, are those that are active, and to a lesser extent, those that are dormant. And both types pose risks. Many people assume that the only risk posed by active volcanoes is in the form of lava and pyroclastic flows associated with various types of volcanic eruptions. While these are serious hazards, with pyroclastic flows able to travel at speeds of up to 700 km/hr, there are other hazards associated with active volcanoes. These include mudflows (or lahars), avalanches, and debris flows - which are lahars that have collected rocks, trees, and other debris together as it moves. And lahars, debris flows, and avalanches don't only occur during an eruption; they can happen days or weeks after an eruption has ended, when rain interacts with any volcanic ash that has settled around the volcano. Other risks that can affect people who aren't even close to an erupting volcano are earthquakes, and the ash that is spewed out by some volcanoes. Volcanic ash can be carried over a great distance by air currents, resulting in breathing difficulties and other respiratory ailments, along with skin and eye irritations. Aircraft can also be affected by volcanic ash, with the particles in the ash able to result in catastrophic engine failure. The 2010 eruptions of Eyjafjallajökull in Iceland famously caused extensive disruptions to air travel in and around Europe, with several countries shutting down air traffic completely for almost a week. More recently, a lava bomb hit a tour boat that takes visitors to see lava plunging into the ocean from the Kïlauea volcano in Hawaii, injuring 23 tourists. Insurers place embargoes on travel insurance cover to regions with active volcano eruptions, or very recent eruptions. The embargoes don't affect travel insurance policies purchased and activated before a certain date. But any policies bought and activated after a specified date will have no cover for claims resulting from any volcanic activity, including delayed or cancelled flights as a result of volcanic ash. When buying travel insurance, always ask if any embargoes are in place for the destination(s) you will be travelling to. Insurers also have their own travel advisories or travel alerts pages on their websites which you can also check. If any advisories or alerts are issued after you have already booked your trip - and bought travel insurance - you can contact the insurer for advice on how you might be affected. Having travel insurance that includes cover for cancellation or deferment costs is always advisable in such cases, since it will prevent you from being completely out-of-pocket if you are forced to cancel your trip due to volcanic activity.